New Thinking on Food: An Invitation to join me at Bodnant in 2014! An Invitation to join me at Bodnant in 2014! Look at these amazing dairy free tofu cheesecakes made on my cookery course in October with their proud creators, Janet and Erin! Thanks Ann for having your camera at the ready! Next time, I'll make sure I take lots more photos to remember all the fabulous dishes produced by everyone on the day as well as the lovely people who made them! I'm happy to say the next course isn't too far away. It's on Saturday 11th January 2014 and, like all the courses I'm running next year, the focus will be very much on "Eating Your Way to Vibrant Health." To get 2014 off to a great start, I'd like to invite you to join me in a detox - one with a difference. This detox is designed for people who love to eat! If you've ever felt bloated or sluggish after Christmas, you'll know that too many rich and sugary foods can affect your mood just as much as your body. January is the perfect time to give yourself a well-earned treat to refresh your body and your mind and start the new year feeling fabulous! To me, detoxing my body isn't about depriving myself or going without food. It's about choosing the right foods that I know will cleanse and revitalise my body naturally. It's also not just a quick fix so I can go back to eating anything and everything again! On the course, I'll be showing you how I incorporate healthy, detox-friendly foods into everyday eating and sharing essential tips on eating well permanently. The recipes we'll be making on the day will be delicious and full of goodness and flavour. They will be completely free from saturated fats, eggs and dairy products and, as it's detox day, totally free from sugar too. If you're wondering how you can possibly make food taste good without any of these ingredients, I'm sure you'll be pleasantly surprised! I can guarantee you'll go home not only with a range of fabulous dishes to enjoy but also plenty of new ideas to help you plan appetising and healthy meals for the whole day including breakfast, lunch and dinner. I'm delighted to say the course will once again take place at the impressive Bodnant Cookery School. Everyone who came in October loved being there. Set in the beautiful surroundings of the Conwy Valley, the School is part of a wonderful development of converted stone buildings dating back to the 18th century. 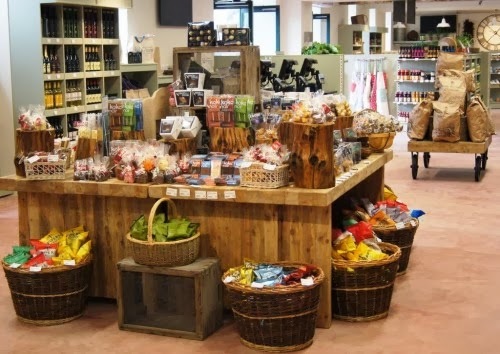 As well as a beautiful restaurant and tea room, the Welsh Food shop in the courtyard sells local produce and speciality goods made in the North Wales area, well worth a visit at the end of the day! The New Year Detox course is on Saturday 11th January 2014. It starts at 10am and finishes at 4 pm and costs £95 inc. all your ingredients and lunch. If you don't live in the area, there is accommodation available at Bodnant and special rates if you would like to make a weekend of it. Make sure you sign up for the loyalty card available on the website so you can enjoy their special offers and discounts! I'll be back soon with more details of other cookery courses I'm running next year and some new recipes too! In the meantime, please feel free to contact me if you have any questions. 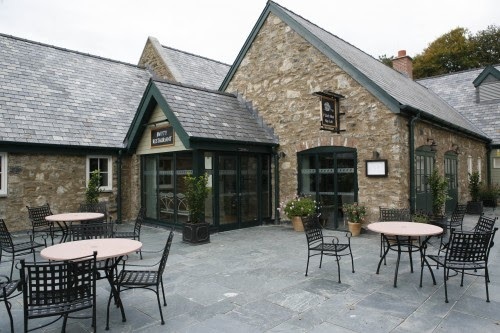 If you are ready to book, please contact Bodnant Welsh Food on 01492 651100.